Designed with synthetic fibre for extra grip, durability and dexterity, the Portwest Tergsus Micro Yellow Gloves A251YE offer exceptional breathability making the gloves comfortable during extended use. With a hook and loop cuff that ensures a safe and secure fit, these versatile gloves excel in industries that range from building and construction to maintenance and machinery use. 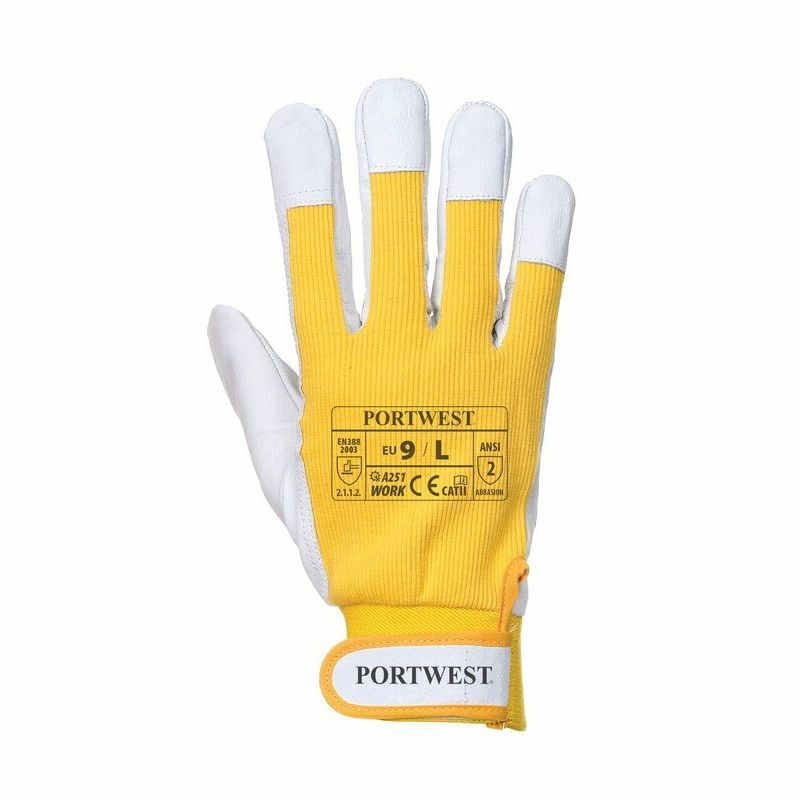 Using a synthetic microfibre to provide comfort, strength and durability, the Portwest Micro Yellow Gloves A251YE ensure exceptionally comfortable use in industries that demand high dexterity. Their cotton back works to keep the hands cool during use, while high abrasion resistance means the gloves are long lasting and can withstand coarse and rough materials. The Portwest Gloves A251YE are available in one size (size 9), but are available in a range of different sizes on our website. See below for more information. To find out if this version of the gloves is the right size for you, please measure the circumference and length of your palm and match the results to the table below.